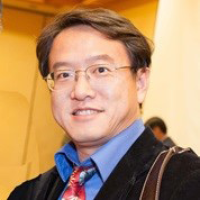 Tsou, Ming-Hsiang (Geography, SDSU) is an expert in human dynamics, social media, cartography and Web GIS. He will provide leadership in this interdisciplinary project and coordinate all research activities among the Co-PIs. Tsou will lead the research activities in task 1A (data collection and integration) and 1B (population density model with dasymetric mapping methods) and organize bi-weekly project meetings and annual summer workshop meetings. He will also collaborate with Ghanipoor Machiani in task 3A and 3B. One Ph.D. student in Geography will work with Tsou and Nara. Dr. Ming-Hsiang Tsou is Professor in the Department of Geography, San Diego State University. He received a B.S. from National Taiwan University in 1991, an M.A. from the State University of New York at Buffalo in 1996, and a Ph.D. from the University of Colorado at Boulder in 2001, all in Geography. His research interests are in Internet mapping and distributed GIS applications, mobile GIS and wireless communication, multimedia cartography and user interface design, and cyberinfrastructure with GRID computing technology. He has applied his research interests in applications such as wildfire mapping, environmental monitoring and management, habitat conservation, K-12 education, cyberspace mapping, and homeland border security. 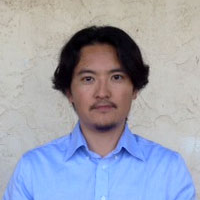 Nara, Atsushi (Geography, SDSU) is trained as a Geographic Information Scientist and offer his expertise in geospatial technological tool development, spatio-temporal data analytics, Web GIS applications, behavioral geography models, and complex urban and social systems. Nara will lead the research activities in task 4A (build an integrated computational modeling environment) and 4B (build a web-based interactive decision support system). One Ph.D. student will work with Tsou and Nara. Dr. Atsushi Nara is an Assistant Professor in the Department of Geography at San Diego State University (SDSU). He received his PhD in Geography from Arizona State University, MS in Geography from University of Utah, and BS in Environmental Engineering from Shimane University, Japan. His research interests center on Geographic Information Science, spatio-temporal data mining and knowledge discovery, modeling behavioral geography and complex urban dynamics, and geovisualization. Dr. Nara has investigated human movement behaviors including GPS offenders, pedestrian crowds and evacuation on streets, and surgical staff in highly complex hospital environments. He has developed advanced spatio-temporal analytic algorithms, data mining and geovisualization frameworks and toolkits, monitoring methodologies, agent-based models, and web-GIS applications to facilitate understanding and decision making of moving object dynamics. He has been extending his works by utilizing open-source development environments and distributed computing systems. Before joining SDSU, he spent three years as a post-doctoral research scientist in the Center for Spatial Analysis at the University of Oklahoma. He also worked as a research scientist in the digital human research center at the National Institute of Advanced Industrial Science and Technology and in the Department of Systems Innovation at the University of Tokyo, Japan. Dr. Xianfeng (Terry) Yang is an Assistant Professor in Transportation Engineering at the University of Utah. He received his Ph.D. and M.S. degrees in Civil Engineering from University of Maryland, College Park and received his B.S. degree in Tsinghua University (Beijing, China). Before joining the U of Utah, he had been working as Assistant Professor at San Diego State University for two years. Dr. Yang will be in charge of the research activities in Task 2 A and 2B of this project. One graduate student in Civil Engineering at the University of Utah is working with him. His current research areas includes evacuation planning and operation, traffic operations with connected automated vehicles, intelligent transportation system, traffic safety, network flow modeling, and unconventional intersection design. His on-going and completed research projects are sponsored by National Science Foundation, USDOT National Transportation Center, and Maryland State Highway Administrations. He has contributed his research on developing robust signal optimization models, estimating transportation network delays under flow uncertainty, and modeling transportation network flows during evacuations. He has published more than 50 peer-reviewed journal articles and conference papers in transportation engineering. Ghanipoor Machiani, Sahar (Civil, Construction, and Environmental Engineering, SDSU) is an expert in evacuation modeling and mitigation strategy development, human behavior, and machine learning. She will focus on the evacuation modeling and integration of social perception analysis. Ghanipoor Machiani will be in charge of the research activities in task 3A and 3B. She will also assist with the research activities in task 2A and 2B with Yang. Two Master students in Civil Engineering will collaborate with Yang and Ghanipoor Machiani. 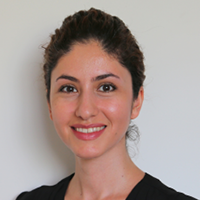 Sahar Ghanipoor Machiani (Ph.D., Virginia Tech, 2014) is an assistant professor in the Department of Civil, Construction, and Environmental Engineering at San Diego State University with specialized expertise in Transportation Engineering. Her areas of research include human behavior modeling, evacuation and large-scale network modeling, network reliability, traffic safety and signal operation, and applications of connected vehicles. Before joining SDSU in 2015, she was a research associate at Virginia Tech Transportation Institute (VTTI). She is a professional member of the American Society of Civil Engineers (ASCE), the Institute of Transportation Engineers (ITE), and a faculty member of WTS-Advancing Women in Transportation. She enjoys mentoring and teaching, and is interested in interdisciplinary research. Chanwoo Jin is a student in the Joint Doctoral Program in the Department of Geography at San Diego State University (SDSU) and University of California, Santa Barbara (UCSB). He received his B.A. and M.A. in Geography from Seoul National University (Korea). His recent research interests include big data (social media) analysis, spatiotemporal modeling, and capital dynamics. 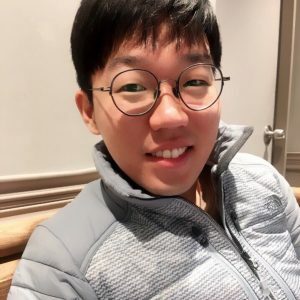 He has published 5 papers (3 papers with first author) in Korean peer-review Journals, and most of them are related to analysis of real estate market. You may take a look his paper list from google scholar. Jaehee Park is a student in the Joint Doctoral Program in The Department of Geography at San Diego State University (SDSU) and University of California, Santa Barbara (UCSB). She received her B.A. in Geography Education and M.A. in Geography from Ewha Womans University (Korea). Her research interests include Geospatial Big data, Social Media data analytics, and public health. Before joining the JDP, she worked as an Assistant Research Fellow at Geospatial Analytics Center in Korea Research Institute for Human Settlements (KRIHS) and participated several spatial analytic researches. 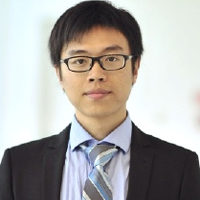 Zhao (Alan) Zhang is a Ph.D. student from Department of Civil and Environmental Engineering at the University of Utah. He received his B.S. in Vehicle Engineering from Anhui Agricultural University and M.A. in Industrial Engineering from the University of South Florida (USF). 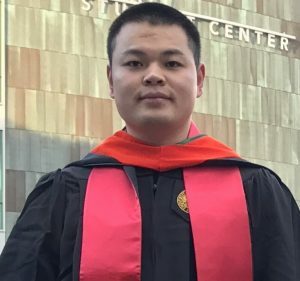 Before joining University of Utah, he had been working as Graduate Research Assistant in Center for Urban Transportation Research at University of South Florida and participated several traffic safety projects. His recent research interests include traffic data analysis, traffic safety, and evacuation system design. 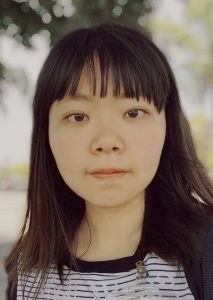 Haihong Huang is a graduate student in Geography Department of San Diego State University and her research focus on GIscience. During her undergraduate years in Zhejiang A&F University as a Geomatics Engineering student, she learned basic application of GPS,RS and GIS technologies as well as land survey methods. Now she is working for Human Dynamics in Mobile Age(HDMA) center in SDSU. 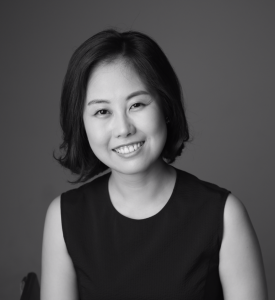 Dr. Su Yeon Han is a post-doctoral researcher at Center for Human Dynamics in the Mobile Age (HDMA) , San Diego State University. She majored in Geography and minored in computer science at University of North Carolina at Chapel Hill at the undergraduate level, received an M.S. from Geography and Geographic Information Science in University of Illinois at Urbana Champaign, and a Ph.D from the joint doctoral program, San Diego State University of University of California at Santa Barbara. Her research interests are in social media, Big Data, Web-based GIS, and CyberGIS. Kim McFarland is a graduate student focusing in Geographic Information Science (GIScience) in the Department of Geography at San Diego State University (SDSU). She received her B.A. in Sociology from SDSU. Her research interests include GIScience, data visualization, and the integration of GIS in Emergency Management. Before joining the graduate program, she spent 2 years as a Corps Member and Team Leader for AmeriCorps NCCC-FEMA Corps, performing long term disaster response and recovery tasks on both a GIS/Planning team and Public Assistance team. Alejandra Coronado is a graduate student focusing in Geographic Information Science (GIScience) in the Department of Geography at San Diego State University (SDSU). She received her B.A. in Geography from SDSU. Her research interests include GIScience, data visualization, and social media analytics. Before joining the graduate program, she was part of the National Science Foundation Research Experience for Undergraduates (NSF-REU) program and a Data Management Intern for the City of San Diego. Stefany Pickett is a graduate student focusing in Geographic Information Science (GIScience) in the Department of Geography at San Diego State University (SDSU). She received her B.S. in Civil Engineering from Monterrey Institute of Technology in Monterrey, N.L., Mexico (ITESM). Her research interests include GIScience, data visualization, and web mapping. Before joining the graduate program, she worked as a Junior Engineer in a Construction company in Mexico, performing project management in land use analysis, environmental analysis, construction, highway and hydraulic projects. Zhehao is a graduate student in the Department of Civil Engineering at San Diego State University (SDSU). He received his B.A. in Civil Engineering from Northeast Forestry University(China). His research interests include traffic analysis and evacuation plan designing. During the undergraduate program, he attended some internships including the internship about Roadbed and Pavement Engineering in Harbin(China) and the internship about road survey and design in Harbin(China). Mallika Guda is a graduate student at San Diego State University (SDSU) from the Department of Civil, Construction and Environmental Engineering. She is focusing in Construction Engineering, Traffic Signal Systems and Geographic Information System (GIS). She received her B.A in Architecture from Vaishnavi School of Architecture and Planning (Hyderabad, India) and interned at S.V Consultants (Bangalore, India) working on estimation and costing, working drawings of hospitals, commercial complexes and residential buildings. Jeff Yen is a graduate student focusing in Remote Sensing and GIScience in the Department of Geography at San Diego State University (SDSU). He received her B.A. in Geography from National Taiwan Normal University. His research interests include image processing, post-hazard damage assessment, and spatial analysis. Prior to joining the graduate program, he worked as a research assistant in the Research Center for Environmental Changes at Academia Sinica in Taipei, Taiwan. Gnanidhar Reddy is a Software Developer at the Center for Human Dynamics in the Mobile Age (HDMA) at San Diego State University. He received his Masters in Bioinformatics from San Diego State University. He has a wide range of skills, and experience in Full Stack Development, Cloud Computing, and Data Visualization.You may take a look his codes from Github. Eva recently graduated from the Geography Department at San Diego State University(SDSU). She received her B.A in Urban Studies focusing on Sustainability. During her undergraduate program, Eva participated in various projects working with GIS. Her research interests include data visualization and web mapping. Nick Mesler is an undergraduate student in the Department of Civil Engineering at San Diego State University (SDSU). His research interests include experimental traffic analysis, regional traffic patterns, and modeling land mass wasting. Nick has an internship background in traffic planning and transportation operation design. Additionally, Nick currently works as a Lead Field Technician for another municipal planning firm in San Diego and manages events from a security standpoint in multi-use complexes in the San Diego region. Upon early graduation in December 2017 Nick plans on a strong start in the Civil industry. From Grossmont Community College (SD) I transferred to San Diego State University for their Geography Major with an emphasis in methods of geographic analysis program. I am currently pursuing a minor in sustainability and the GIS certificate program at SDSU. The research I will be assisting with will be dynamic population modeling and evacuation risk modeling. My other research interests include GIScience, big data applications, transportation and urban planning/development. Upon graduation I plan to use the skills and knowledge I gained from the research and geography program at SDSU to change peoples lives for the better with GIS and hands on applications. Integrated Stage-based Evacuation with Social Perception Analysis and Dynamic Population Estimation is funded by National Science Foundation, NSF Award Abstract #1634641. Opinions expressed are those of the authors and not necessarily those of the National Science Foundation. See Link Above for Project Abstract on the National Science Foundation Website..